The Miracle Season is directed by Sean McNamara. The film stars Helen Hunt, William Hurt, Garry Chalk, Erin Moriarty, and Danika Yarosh. The Miracle Season is, essentially, an amalgamation of every sports movie cliche known to man, and over-the-top tear-jerking moments that never let up. Caroline Found’s story and the story of those around her rising up following her passing is a true, inspirational account, but this film adaptation simply tries to tackle too much material in too little time, and it barely handles what it covers appropriately. One-dimensional characters, overly familiar plot elements, lazy direction, anachronistic music, filming decisions that don’t feel appropriate for the material at hand, and mishandling of so much of its story leaves what should’ve been a fantastic film struggling on the sidelines. Okay, let’s at least cover what the movie does right before we get into the inevitable weaknesses. Helen Hunt and William Hurt actually manage to do a pretty good job with what they’re given; they’re the highlights in this film. Hunt stars as the volleyball coach, while Hurt plays Line’s father who must endure multiple family tragedies, and struggle to move on with his life. Even if nothing else in the film works, these two deserve credit. I also applaud the film for at least taking the time to flesh out Line prior to her passing, and the aftermath being understandably morbid and frustrating for all involved. Unfortunately, that’s about it for the positive things I can say about the movie. Everyone else in the movie is a one-dimensional stereotype, and even Erin Moriarty as Kelley, Line’s best friend, never quite feels believable or authentic in this role (though this is the fault of poor direction and writing, not the young actress). A romantic subplot between her and the new boy in town is relegated to a handful of scenes, and never gets any development whatsoever. Even much of Hurt’s performance is relegated to him sitting on the sidelines at the volleyball games, rather than facing his demons and dealing with his feelings on loss and religion, which again, the film only loosely hints at. Even the opening scene of the film, with a young Line and Kelley, feels like it’s setting up a different movie. The sheer laziness of the storytelling is another critical flaw. The movie is called The Miracle Season, yet relegates almost the entire volleyball season into a MONTAGE with anachronistic music. When Line passes away, another tragedy occurs almost immediately thereafter, and barely gets any emphasis at all. Hell, I noticed the same extra, wearing the same clothes, in more than one volleyball scene in different locations! It seems like the crew and the approach to the movie basically focuses on unimportant elements too often; we don’t get any serious time spent covering the season itself outside of a montage, yet we get to see a scene of the girls having a snowball fight? Streamlined storytelling and better direction would have made for a world of difference. And then come the cliches. And believe me, this movie’s got a TON of them. Team wins the big game. Team is eager for new season. Star player dies. Team distraught and in doubt as to their future. Team comes back. Team wins the big game again. Team is down by many points in the final game and makes a comeback to win. Over-the-top slow motion effects to add suspense to a sport that doesn’t require it. A celebratory scene that feels like it belongs in a different movie. 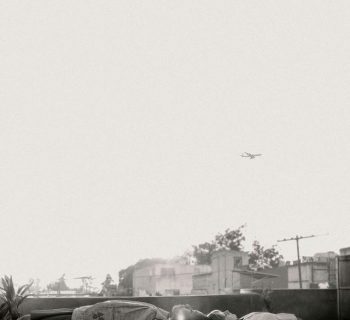 It’s difficult to say how much of the movie is true, as films like this often embellish the truth with Hollywood drama. But regardless, the cliches and unfocused narrative are noticeable throughout. Another element of sheer laziness is the choices of music used in the movie. The movie is set in 2011, yet whoever chose the music for the film did no research whatsoever, playing songs that have been released since then, “Confident” by Demi Lovato (which is apparently in every movie now) from the “season montage” being the most noticeable offender (I actually like the song but it doesn't belong in a movie when it didn't exist at the time it's set). It takes five minutes to research when songs came out, and whoever was in charge of this definitely dropped the ball. The Miracle Season has a powerful story, but it’s handled poorly as a feature film. The end credits feature photos and footage of the real people involved, which makes one ponder the question of why this wasn’t just made as a documentary rather than a half-assed feature film which doesn’t do its subject justice. There are some decent moments, and Hurt and Hunt give good performances, but you’re better waiting for the video release if you’re curious about this one. DISCLAIMER: All images in this review are the property of their respective copyright holders, including LD Entertainment. For promotional use only. All rights reserved. 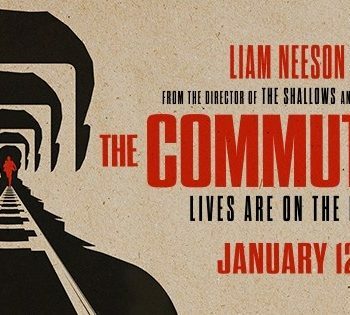 The Commuter: Stay Far Away From This Train Wreck! Death Wish - Is This Remake of the Vigilante Classic Worth Your Time?